I’m quite busy these days. I’m re-designing my hometown’s website using WordPress as CMS. I’m trying to work on it using my local WordPress install. Last year, I emailed the webmaster and voluntered to re-design and update the website, but I was busy then. I was able to design a template just few weeks ago, now I’m copy-pasting some of the web contents to the new pages. I won’t copy everything yet ‘coz am not yet sure if he’s going to like my work. I decided to use WordPress as CMS because I find it easier. 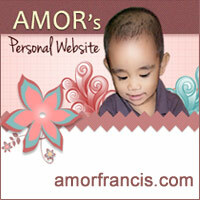 I’ve never used any CMS before, all the pages in my main website were done independently. I’m thinking of ‘migrating’ everything to WordPress in my website’s next revision. Since my hometown’s website have a forum, I searched for a WP Forum Plugin and I found Andy Staines‘ Simple Forum Plugin. I’ve activated and tested the plugin. It’s impressively amazing! His Drop Down Menu Plugin is also a nice one. I’ve been wanting to have this! I don’t have to go through a lot of pages in WordPress Administration Panel. It’s a time-saver actually as it let you navigate directly in your admin pages. Anyway, I hope I will be able to finish my hometown’s “new” website before June.